Irma Brasseur-Hock, PhD, is the Academic Program Associate for the Online High Incidence Disabilities Teacher Education Program in the Department of Special Education and Assistant Research Professor in the Center for Research on Learning. 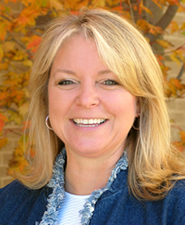 Dr. Brasseur-Hock served as a secondary classroom teacher of general and special education students for fifteen years. Her research interests include adolescent literary, personalized/blended learning, instructional coaching, reading instructional interventions, and instructional sustainability. She is highly regarded for her skills as a professional development specialist in adolescent literary and secondary school change. Dr. Brasseur has served as Co-PI and project manager on several IES grants including a reading intervention development grant, a Striving Readers efficacy study, a teacher quality development grant, and an IES measurement grant. In these leadership roles, Dr. Brasseur's work has focused on systems change, instructional delivery, and adolescent literacy. She has co-authored dissemination work from these studies in numerous peer-reviewed, scholarly works and presentations, including publications found in Learning Disability Quarterly, the Journal of Learning Disabilities, and the Journal of Learning and Individual Difference. Hock, M. F., & Brasseur-Hock, I. F. (2015). Comprehension instruction for at-risk students. In S. R. Paris, D. Fisher, & K. Headley (Eds. ), Adolescent literacy, Field tested: Effective solutions for every classroom(2ndnd ed.). Newark, DE: The International Reading Association. Hock, M. F., Brasseur, I. F., & Deshler, D. D. (2015). Possible selves and learners. In S. Lopez & A. Beauchamp (Eds. ), The encyclopedia of positive psychology(2ndnd ed.). Oxford, England: Blackwell Publishing. Brasseur-Hock, I. F., Deshler, D. D., Bradley, B. A., Clark, K. & Ruggles, M. (2015). Blended instructional design: An online course to enhance learning for ALL students. Lawrence: University of Kansas Center for Research on Learning. Hock, M. F., Brasseur-Hock, I. F., & Deshler, D. D. (2014). Responding to the needs of adolescents with severe reading disabilities. New England Reading Association Journal, 49(2), 9-18. Robinson, S. Brasseur-Hock, I. F., & Leko, M. (2014). Methods and assessment: Literacy interventions for struggling Learners and students with high-incidence disabilities: High-incidence online graduate program SPED 741. Lawrence: University of Kansas Department of Special Education. Hock, M. F., Brasseur-Hock, I. F., & Deshler, D. D. (2013). Evidence supporting the Fusion Reading program. Chicago, IL: McGraw-Hill Education. Brasseur-Hock, I. F., Deshler, D. D., & Hock, M. F. (2012). Reading comprehension instruction for middle and high school students in English language arts: Research and evidence-based practices. In K. L. Santi & D. K. Reed (Eds. ), Improving comprehension instruction for middle and high school students (pp. 99-118). New York, NY: Springer. Brasseur, I. F., Hock, M. F., & Deshler, D. D. (2012). Fusion reading: Establish the course. Chicago, IL: McGraw-Hill. Hock, M. F., Brasseur, I. F., & Deshler, D. D. (2012). Fusion strategy integration. Chicago, IL: McGraw-Hill. Hock, M. F., Brasseur-Hock, I. F., & Deshler, D. D. (2012). Possible selves for readers. Chicago, IL: McGraw-Hill. Brasseur, I. F., Hock, M. F., & Deshler, D. D. (2012). The book study program. Chicago, IL: McGraw-Hill. Brasseur, I. F., Hock, M. F., & Deshler, D. D. (2012). The bridging strategy.(Rev.) Chicago, IL: McGraw-Hill. Hock, M. F., Brasseur, I. F., & Deshler, D. D. (2012). The PASS strategy. Chicago, IL: McGraw-Hill. Hock, M. F., Brasseur, I. F., & Deshler, D. D. (2012). The prediction strategy.(Rev.) Chicago, IL: McGraw-Hill. Brasseur, I. F., Hock, M. F., & Deshler, D. D. (2012). The summarization strategy.(Rev.) Chicago, IL: McGraw-Hill. Brasseur, I. F., & Hock, M. F. (2012). The thinking reading program.(Rev.) Chicago, IL: McGraw-Hill. Hock, M. F., Brasseur, I. F., & Deshler, D. D. (2012). The vocabulary program. Chicago, IL: McGraw-Hill. Knight, J. M., Bradley, B. A., Hock, M. F., Sktic, T. M., Knight, D. Brasseur-Hock, I. F., & Hatton, C. (2012). Record, replay, reflect: Videotaped lessons accelerate learning for teachers and coaches. Journal of Staff Development, 33(2), 18-23.
. New York, NY: McGraw-Hill Education Group. Brasseur-Hock, I. F. (2012). Online professional development modules to support implementation of Fusion Reading: Possible selves for readers. New York, NY: McGraw-Hill Education Group. Brasseur-Hock, I. F. (2012). Online professional development modules to support implementation of Fusion Reading: Strategy integration. New York, NY: McGraw-Hill Education Group. Brasseur-Hock, I. F. (2012). Online professional development modules to support implementation of Fusion Reading: The bridging strategy. New York, NY: McGraw-Hill Education Group. Brasseur-Hock, I. F. (2012). Online professional development modules to support implementation of Fusion Reading: The PASS strategy. New York, NY: McGraw-Hill Education Group. Brasseur-Hock, I. F. (2012). Online professional development modules to support implementation of Fusion Reading: The summarization strategy. New York, NY: McGraw-Hill Education Group. Hock, M. F., Brasseur-Hock, I. F., & Deshler, D. D. (2012). Fusion reading program.(Tech. Rep.) Lawrence, KS: University of Kansas Center for Research on Learning. Brasseur-Hock, I. F., Hock, M. F., Biancarosa, G. Kiefer, M. & Deshler, D. D. (2011). Adolescents struggling readers in urban schools: Results of a latent class analysis. Journal of Psychology and Education: Learning and Individual Differences, 21, 438-452. Hock, M. F., & Brasseur-Hock, I. F. (2009). Literacy interventions for adolescent struggling readers. In S. R. Paris, D. Fisher, & K. Headley (Eds. ), Adolescent literacy, Field tested: Effective solutions for every classroom (pp. 129-142). Newark, DE: The International Reading Association. Hock, M. F., Brasseur, I. F., & Deshler, D. D. (2009). Nurturing motivation through possible selves. In S. Lopez & A. Beauchamp (Eds. ), The encyclopedia of positive psychology. Oxford, England: Blackwell Publishing. informal assessment for adolescent readers. Lawrence, KS: University of Kansas Center for Research on Learning. Hock, M. F., Brasseur, I. F., & Deshler, D. D. (2008). Comprehension instruction in action: The at-risk student. In C. C. Block & S. R. Parris (Eds. ), Comprehension instruction: Research-based best practices(2ndnd ed.) (pp. 271-293). New York, NY: Guilford Press. measure for adolescent readers. Lawrence, KS: University of Kansas Center for Research on Learning. Hock, M. F., & Brasseur, I. F. (2006). The prediction strategy reading comprehension measure for adolescent readers.(Rev.) Lawrence: University of Kansas Center for Research on Learning. Brasseur, I. F. (2006). The word identification strategy CD-ROM. Lawrence: University of Kansas Center for Research on Learning. Brasseur, I. F. (2005). The development and validation of an interactive hypermedia program for teaching word identification skills to students with disabilities. Dissertation Abstracts International, 67-01, 0142. Lawrence: University of Kansas. Brasseur-Hock, I. F., Gildroy, P. Schumaker, J. Deshler, D. Begun, W. & Passman, B. (2004). Profiling the quality of educational programs for adolescents with disabilities. Teaching Exceptional Children, 37(2), 62-65. Ehren, B. Schumaker, J. & Brasseur, I. (2004). The paraphrasing strategy CD-ROM. Lawrence: University of Kansas Center for Research on Learning. Brasseur, I. F., Schumaker, J. B., & Ehren, B. J. (2004). The self-questioning CD-ROM. Lawrence: University of Kansas Center for Research on Learning. Schumaker, J. Brasseur, I. & Ehren, B. (2004). The visual imagery strategy CD-ROM. Lawrence: University of Kansas Center for Research on Learning.